The SandBar is a quarterly publication reporting on legal issues affecting the U.S. oceans and coasts. Its goal is to increase awareness and understanding of coastal problems and issues. 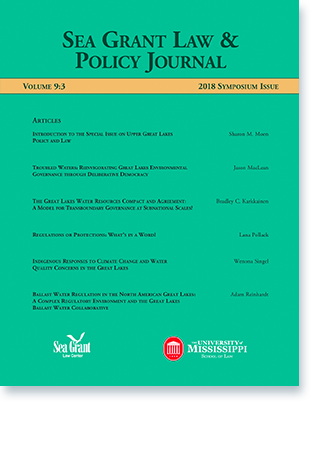 The Sea Grant Law and Policy Journal is an Open Access online journal that provides a forum for the timely discussion and exploration of legal topics of relevance to the Sea Grant network of extension agents, researchers, coastal managers and users, and local decision-makers. This document was prepared by the NSGLC to support the efforts of the western states to limit the introduction, spread, and impacts of aquatic nuisance species into the Western Region of North America. This document was prepared by the NSGLC as an update to the 2012 guide. This guide complements and builds upon the Market Your Catch website, an online resource developed by California Sea Grant with participation from other Sea Grant programs, fishermen, buyers and others on the U.S. east and west coasts. This document was prepared by the NSGLC and the Association of Fish & Wildlife Agencies to support the efforts of the Western Regional Panel on Aquatic Nuisance Species to limit the introduction, spread, and impacts of aquatic nuisance species into the Western Region of North America. This report first summarizes the existing legal framework governing derelict fishing gear and removal programs for each of the five New England states (Connecticut, Maine, Massachusetts, New Hampshire, and Rhode Island). This document was prepared by the NSGLC to support aquaculture producers in Alabama looking for ways to diversify their business with direct marketing opportunities. 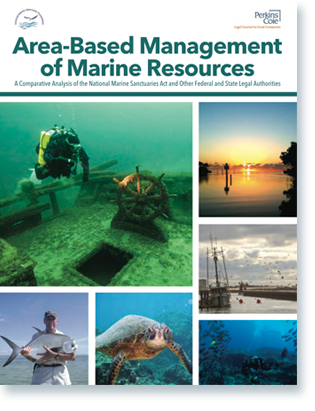 This report provides an overview of the National Marine Sanctuaries Act (NMSA) and other domestic legal mechanisms for preserving marine ecosystems, including federal authorities, state laws, and the common law of torts. 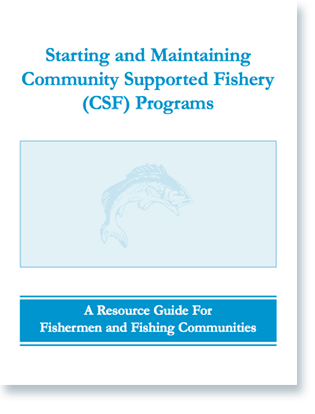 At the request of NOAA Fisheries, the NSGLC collaborated with the Planning Committee of the National Summit on Community Supported Fisheries, held in Portsmouth, New Hampshire, May 30 – June 1, 2012, to produce a resource guide for fishermen.